To create an account in Steam, install the client and use your Steam credentials for access. See also Activating Steam Account. Click Join in the top right corner. 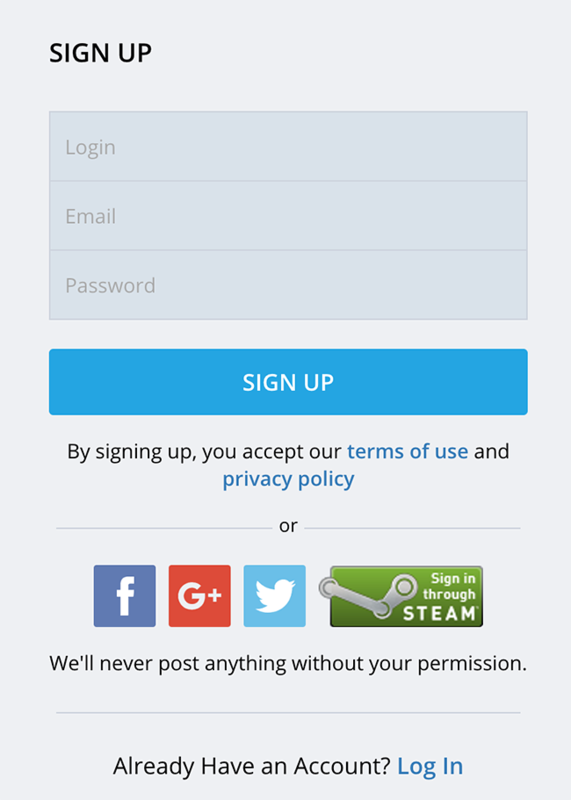 Fill in all the fields or use your Facebook, Google+, Twitter, or Steam account. Click Sign Up. Congratulations! You have successfully registered with Tabletopia. You will receive a letter with further instructions on your email.